I attended our local garden show last year and was thrilled to find they had some great butterfly and hummingbird plants for sale. One of the plants I purchased was pineapple sage (Salvia elegans). First, I have to say I’m in love with all salvias. They grow really well and are so popular with hummingbirds, butterflies, and bees. And did I mention they are beautiful? That’s the perfect combination for my garden. This past summer it was a delight to discover that cloudless sulphur butterflies absolutely love this plant. Every day, there was a small cloud of sulphurs bouncing back and forth from the pineapple sage to the zinnias. 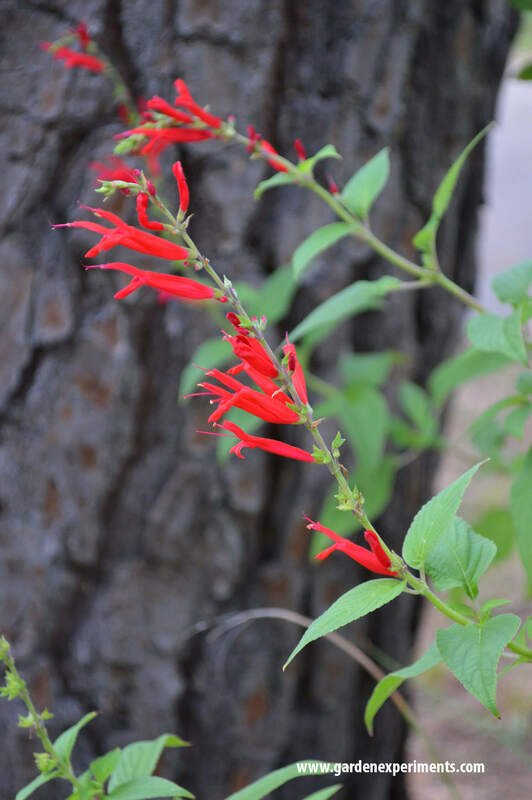 The small tubular red flowers appear at the end of the tall branches and their bright color is quite appealing. It flowers in summer to fall and is easy to grow. It prefers rich, well-drained soil and can grow to be 4 or 5 feet tall and equally as wide. Keep it watered regularly. 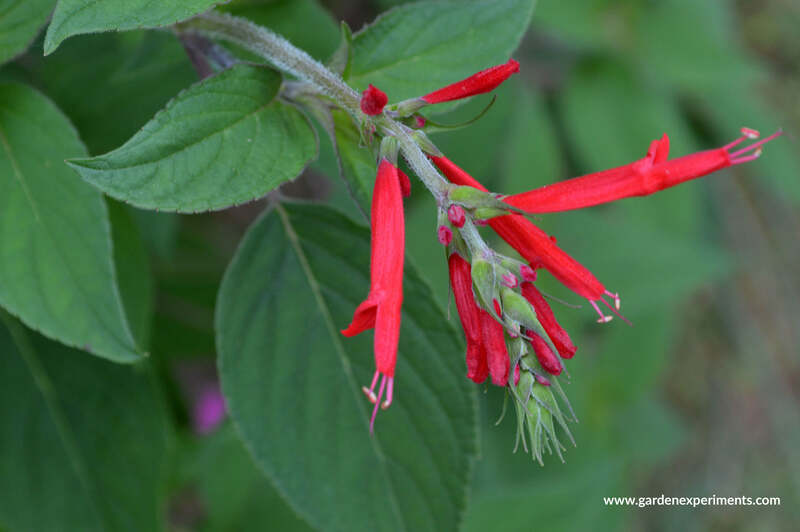 Pineapple sage grows best in full sun, however, in hotter climates, part-shade might work best to keep the plant from wilting in the afternoon. I planted mine in a container. It is underneath a pine tree so it is partially protected from the high heat of summer afternoons and from high winds. As a result, it is coming back up this spring. I can’t wait to see the blooms again. 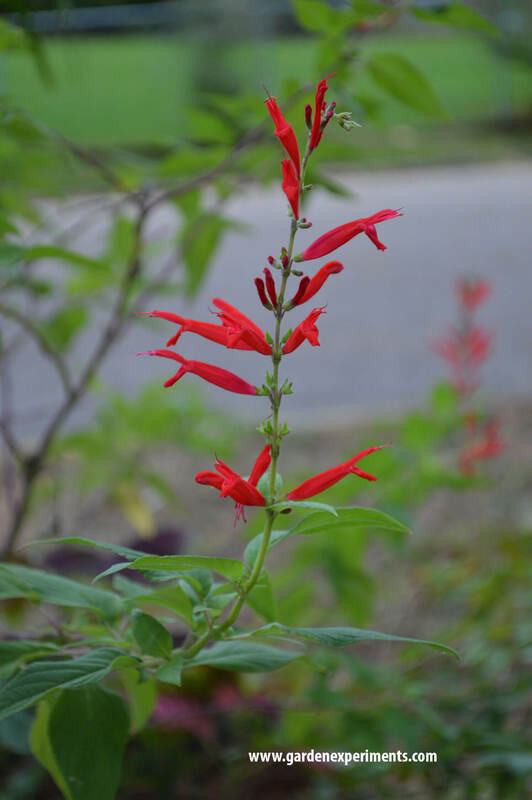 This salvia is hardy in zones 8 to 10, but in my zone (7b) it came back a second year! Propagate this plant by taking cuttings to root in water or soil. Everything I’ve read says it is hard to grow from seeds.